30% Federal Income Tax Credit applies to the entire cost of a residential renewable energy system. This is not a reduction of your taxable income but a credit for 30% of the entire cost of the system. In simple terms, the Feds are paying for 30% of your system. There are several different tax incentives for commercial systems as well. Consult with your tax professional to see which apply and how they affect your individual financial situation. 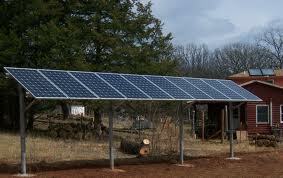 In Today’s climate of increasing utility costs, this is the most popular solar application. Grid-Tie Solar and Wind Systems range in size and connect to the service panel to feed electricity directly to the home. As the system produces excess electricity, it is sold back to the utility company. Since this does not involve the high cost of storage batteries the return on investment with this system is very rapid. Both Residential and Commercial Buildings benefit from the ability to buy from and sell power back to the electric company. 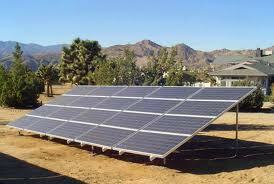 Rising utility costs are mitigated by solar during the day and power is purchased at a lower rate during the evening. 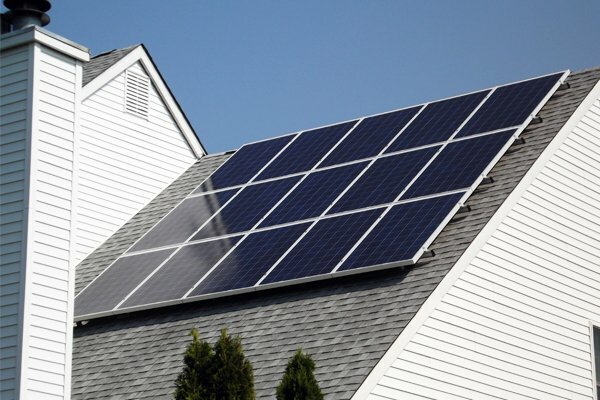 Systems that generate more power than the home or building uses are able to sell back excess power through an interconnect arrangement with the utility provider. We take care of all of the paperwork. Commercial Grid-Tie Systems maximize utility savings and can sell power back throughout the day. These systems are designed to minimize demand charges on the commercial meter. Our most popular commercial system packages range from 5KW to 50KW. The 30% Federal Tax Credit applies until December 31, 2016. Battery Stand-Alone Systems are designed for off grid applications, typically in remote areas where no power grid is available. These systems can power small homes and cabins, and are custom designed for maximum efficiency. Stand Alone Systems incorporate Solar Photovoltaic Array, Battery Pack, Voltage Regulator, Inverter, Mounting Hardware and Charge Controller. These components regulate power consumption to insure uninterrupted power supply where no grid is available. We will custom design a Continuous Power System for your application. Battery Primary Sell Back Systems are able to draw power from and send power back to the electric grid. They have an added battery storage feature that will power the home in a power outage. These systems are a popular option for anyone needing uninterrupted power. How will the roof be maintained after the panels are in place? The panels will probably need to be removed in order to replace or repair the roof. Maintaining water tight seals at mounting points. To properly identify and address these issues a Professional Engineer will be used. Engineering fees are added to the cost of a roof mounted system. 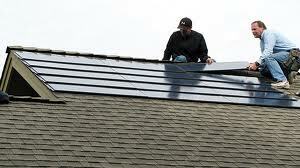 Solar shingles are a popular feature in many high-end homes. Advantage is, they look good. Disadvantage, they are a lot more expensive in every respect. More dollars per Watt to buy, more dollars per Watt to install and more dollars per Watt to maintain. If you have a defective shingle you will probably have to call both the roofer and the electrician for the repair. Both of these systems are pre-engineered thus saving money during the design phase. Ground mounted systems require a dedicated area free from shade while pole mounted systems can be incorporated into carports and patio covers.